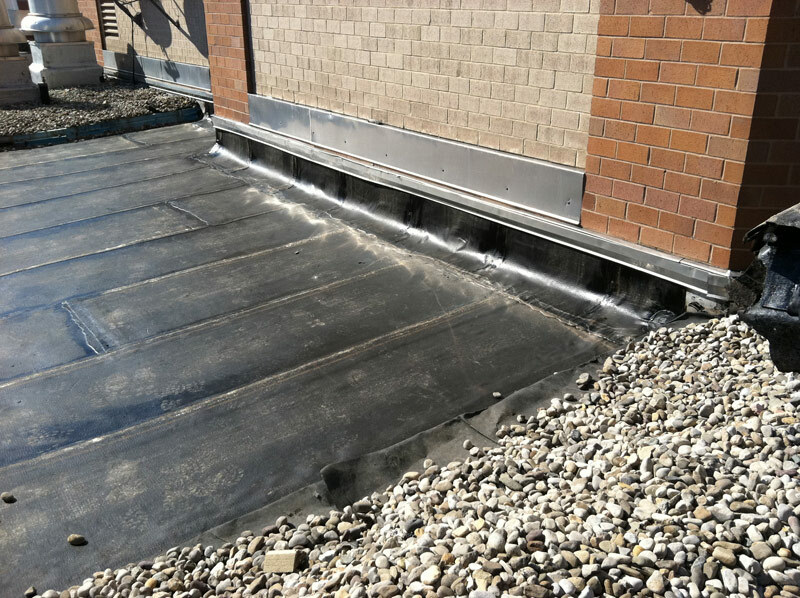 Keeping Your Commercial Roof in Good Repair | Adriatic Restoration Corp.
A roof is as important to a building as the foundation, serving to protect the structure from the elements and aid in heating and cooling the building. A major cause of roof leaks is failed flashing, which is installed around pipes, vents, chimneys and other objects on the roof to deflect water before it can seep into seams and joints. Flashing fails due to damage from expansion and contraction in hot and cold weather, which causes it to tear. Pitch pans seal the area around any pipes that rise from the roof. If not properly maintained or sealing elements did not take, water can run down the pipe into the roof. A bad roof design or installation is the main culprit in causing standing water, although it can also be caused by a clogged drain. Standing water can cause the roof to deteriorate and leak, creating a need for commercial roof repair. Design of a level roof should include a slope with diminishing insulation or crickets. If your roof has been waterproofed and is still collecting standing water, consider whether application of the waterproofing material is too thin or if water could be leaking from an HVAC system. Caution is needed when additional work or traffic is done on the roof. Heavy equipment, tools and even foot traffic can puncture and damage the waterproofing membranes. Like a crack in concrete, even small cuts and scrapes can be the start of a leaky roof. Every roof is different and presents unique challenges for commercial roof repair. It’s a good idea for landlords and property managers of high-rise apartment and condominium complexes or commercial buildings to perform routine inspections and contact a professional restoration company for any repairs.